I am very grateful to All About Martial Arts for providing this platform to address this distinguished body, and voice my opinions as to the status of martial arts students. Many of you who read this column are icons in the martial arts; and your names, reputations, and illustrious careers preceded you; therefore, I can only pray that you will read this, and all my other articles with open minds. 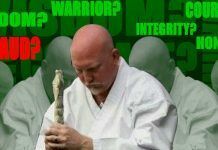 None of my comments are meant to be disrespectful to anyone, particularly anyone in the martial arts; however, they are made with the hope of opening eyes to what has become of the martial arts. At this point, I could embark on a long litany about how many years I have been studying the martial arts, who my instructors were, whom I have trained with, competed against, and how difficult the journey was for me. However, I am quite sure many of you could do the same, and have had similar experiences; therefore, I will not boor you with such a speech. However, I would like to explain my understanding of the martial arts, its effect upon my life, as well as what I believe to be some of its shortcomings. 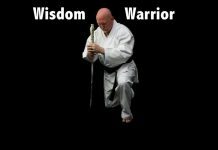 The study of the martial arts, as many of you are aware, deals primarily with the development to the mind, spirit, and body. I believe when taught properly, in addition to the physical attributes, a student of the martial arts should learn several different life lessons; which include-humility, discipline, compassion, gentleness, kindness, submission, long suffering, and most importantly, how to let go of pride, ego, and a false sense of self-importance. I believe those of us who are instructors, particularly those of us who are addressed as masters and Grand Masters, must emphasize the whole person concept when teaching our students, we must stress development of our student’s full potentials, mentally, spiritually, and physically. We must teach our students how to apply those elements in their daily lives, and how those concepts are rooted in the practice of Christianity. I believe it is imperative that those of us who are teachers of the martial arts begin to inform our students that it is the journey that is important, and not the destination. The color of one’s belt is not a true indication of one’s skills and knowledge of the martial arts, and when a student obtains the rank of a black belt, regardless of the Dan rank, it is not a symbol to the end of their journey, but rather the beginning of a life-long quest. We must strive to combine the mind, spirit, and body, in harmony of the whole person, in order to approach perfection in the arts. The study of the martial arts, as many of you are aware, is not a short-term goal, but rather a life-long endeavor. There is no such thing as twelve easy lessons in the martial arts, as those who run belt factories would have their pupils believe. The martial arts have changed over the centuries. It has evolved into more of a sport, rather than a means of defense of self and the defenseless; furthermore, a way of developing mental and spiritual strength and discipline. Traditionally, martial arts was taught on a one on one basis, between a Master, and his student, the Master transmitting his skills and knowledge to the student, and the student became an extension of the master. Martial art students were brutally loyal and protective of their master, and would defend their master’s honor at all cost, even with their own lives if necessary. The idea of simultaneously teaching a large group of students the martial art is a modern concept. I believe that one can be a practitioner of the martial arts or one can be a student of the martial arts and that there is a big difference between the two. At the tender age of sixty-seven years and seven months, and, after fifty-eight years of studying the martial arts, I believe I can say with some degree of authority that the martial art is a great way of disciplining the mind, body, and spirit, and that it has been very good to me, in many ways. For the record, I would like to thank the following individuals who have guided me along the path, and has been a positive influence on my journey. However, I first want to thank my Lord and savior Jesus Christ, for giving me the strength, and perseverance to continue following the path, even in times of stress, when my body and spirit simply wanted to quit. I would like to thank Master Lloyd Dawkins, of the Kingston Karate School, in Kingston Jamaica, who introduced me to the martial arts. Master Gladstone Ross, of the East-Ham School of Martial Arts, in London, England, Grand Master Anton Geesink (deceased), of Utechy, Netherlands, Grand Master Ramon Bodine, of the Guantanamo Bay Self-Defense Club, Guantanamo Bay, Cuba, Grand Master Albert Darrenburg 111, of Chicago, Illinois. 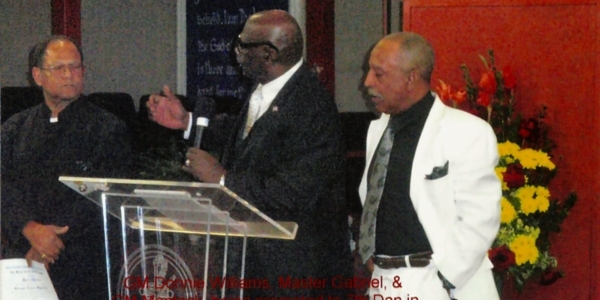 Master Jerome Mackey, Brooklyn, New York, Great Grand Master Victor Hughes (deceased), of San Diego, California. Master William Oliver (deceased), Grand Master James A. Wilson (deceased), of the Southwestern Association of Martial Arts, College of Tae-Kwon-Do, Spring Valley, California, Grand Master Orned (Chicken) Gabriel, San Diego, California, and Bishop & Grand Master Donnie Williams, one of the founding members of the Black Karate Federation, and founder of the Christian Karate Association in Pasadena, California. These individuals, and many others, has had a tremendous impact on my martial arts journey, and helped made me who I am today. Lastly, even though he was never one of my martial arts teachers, I want to thank Grand Master Eric Lee, who actually taught me the importance of humility, and finally, I want to thank my students, for trusting me to be their martial arts instructor. 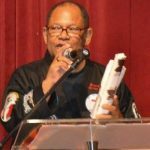 Grand Master Byron Mantack is a 9th degree black belt in Okinawan Shorin-Ryu Karate, and a 7th degree in Kenpo karate. He is chief instructor at the Martial Arts Academy, a ministry of the church he attends in CA. He teaches Martial Arts with Christian principles, with emphasis on tournament fighting and practical street defense.